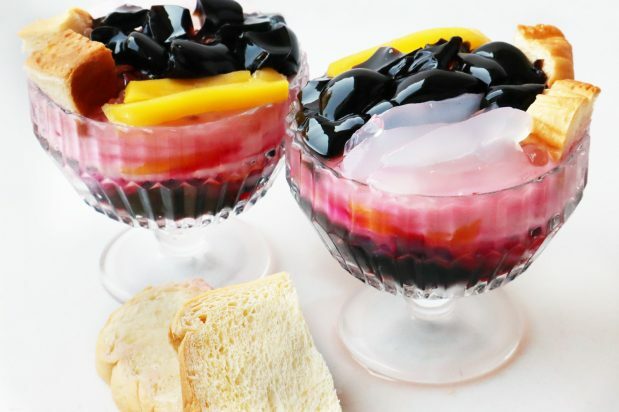 In a medium bowl or two small bowls, layer the grass jelly, palm seed, young coconut, jackfruit and cubed bread. Add shaved ice. 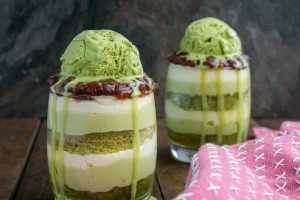 Top with milk, drizzle with sala syrup and serve.